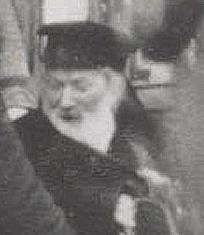 The Chofetz Chaim opposed Zionism because it violates the principles of Yaakov Avinu and our code of conduct in exile. The Chofetz Chaim gave a parable to encourage the Jewish people in their long wait for redemption: “One day, the army received an announcement that the king himself would come that very day to visit the army camp. All the soldiers lined up in rows, weapons in hand, waiting for the king to come. The general and his officers stood at the front. They waited several hours, but the king did not arrive. Eventually, the general grew tired of standing, and he asked someone to bring him a chair. He sat down and dozed off in the chair. Suddenly at that moment, the king and his entourage arrived, and all the soldiers saluted him. The sleeping general, too, awoke and wanted to stand up in honor of the king, but the king told him to remain seated, and gave orders that he be demoted from his position.